Try this DIY mustard bath recipe to alleviate symptoms of colds, fatigued and achy muscles, fever, congestion and stress. Soak it all away! Much to my dismay, the flu that started with my son is now making its way through the house. It’s not very often that any of us get sick, so when we do, it’s a real drag. On a normal day, I take many precautions to keep my immune system going strong. I like to get fresh air, drink my morning power smoothie packed with protein and antioxidants, try to do some sort of exercise and stretching, drink plenty of water and take time for myself to de-stress. For the most part this works, but on the rare occasion there’s no stopping it. I’ve discovered with a little practice the best way to approach colds and flu is getting rest. I’m not one who’s very good at it for long, but sometimes your body and soul need a little downtime or good old sleep. I also find hot baths work wonders for the aches and pains that usually come with the flu. Fortunately, my husband’s aunt introduced me to mustard baths (a traditional remedy in England) not too long ago. They work wonders for all kinds of ailments, including the treatment of colds, fatigued and achy muscles, fever, congestion and stress. Mustard has been known to stimulate the sweat glands, opening the pores and helping the body rid itself of toxins. As a result, circulation is improved, congestion is relieved and pain is eased. 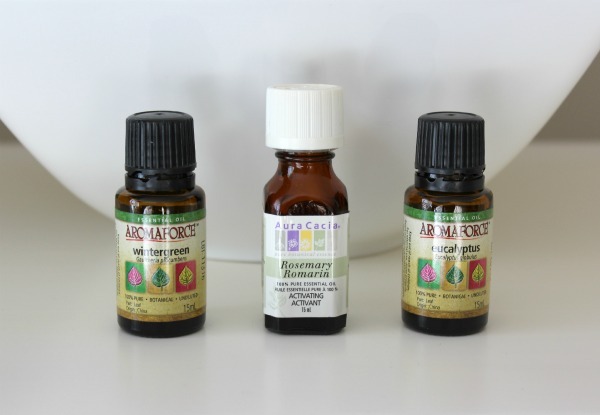 In addition, essential oils including eucalyptus, wintergreen, and rosemary are used for their therapeutic benefits to help reduce pain, assist breathing, increase circulation and provide general antiseptic properties. If that isn’t enough, chamomile is used as a mild sedative, with anti-inflammatory and soothing properties. 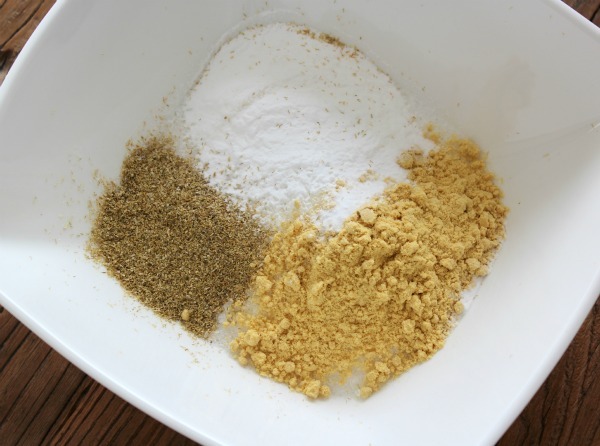 Place all of the dry ingredients in a bowl and mix well until all lumps are gone. Add essential oils, mix well and transfer to an airtight jar or canister. Add a few generous scoops of the mixture (about 1/4 cup) to a hot running bath and soak for at least 15-20 minutes, breathing in deeply. Rinse your body with a little fresh water and pat dry. Be sure to rinse out the tub! As an option, place a few scoops of the mustard bath mixture into a disposable tea filter and secure with a clip or kitchen string. This will keep your body and tub free from debris. Or, steep the mustard bath for 5-10 minutes in a glass measuring cup and filter before pouring into the tub. Sometimes I just soak my feet, which seems to help too. I like to follow up with warm PJ’s and a hot cup of flu buster tea. Also, be sure to drink plenty of water. Important Safety Note: I don’t recommend using this mustard bath mixture for small children. Also, make sure you don’t have an allergy to any of the ingredients before trying the bath. I have sensitive skin and it was fine for me. Check with your doctor first if you have high blood pressure or any other medical condition. 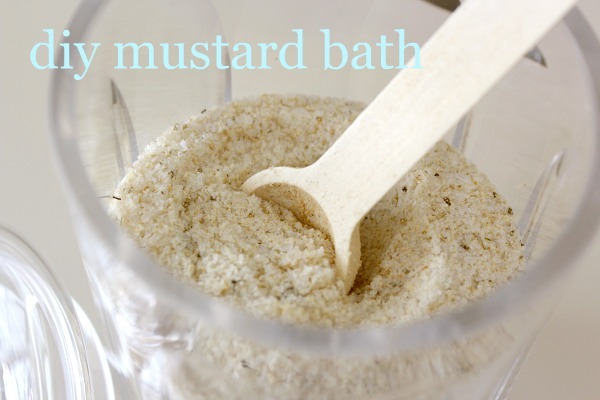 DIY mustard bath to alleviate symptoms of colds, fatigued and achy muscles, fever, congestion and stress! As an option, place a few scoops of the mustard bath mixture into a disposable tea filter and secure with a clip or kitchen string. This will keep your body and tub free from debris. I don't recommend using this mustard bath mixture for small children. Also, make sure you don't have an allergy to any of the ingredients before trying the bath. I have sensitive skin and it was fine for me. Check with your doctor first if you have high blood pressure or any other medical condition. Have you ever taken a mustard bath? What are your secret remedies for combating the flu? Sending you wishes for health and happiness! I am feeling a little run down as well! The hubs had a quick 24 hour stomach flu last week, but I think I just have a really bad head cold! I hate feeling sick, because I never sit down! This bath sounds amazing… I will have to try it! Your post couldn’t have come at a better time. I’m have a cold and will try this recipe to help myself feel better. Thanks Shauna! This is great Shauna, especially when your kiddos get sick which is never pleasant. I used it for my teenage son and it really helped, but I wouldn’t recommend it for younger kids because of the essential oils and mustard. An epsom salt bath may help though.